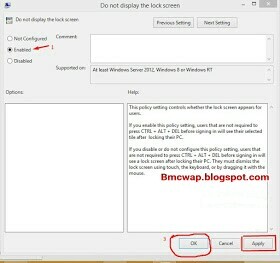 This post is based on how to disable lock screen on your PC, like some may ask, what is this lock screen all about? it is that first screen that you always swap left or either right before getting to the screen that displays prompts, asking you to input your login password before you can access the desktop view of your Windows 10 or 8 device. This very screen, for me, I think is best for tablets and other windows devices you can put in your pocket while going anywhere because, it reduces accidental password trials, same also to login. Now, How about when you talk of this on PC? Is it necessary or not? I think, is not necessary relaying on my own opinion. 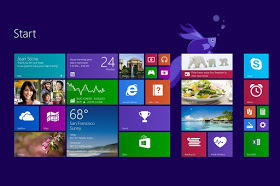 So therefore, if you wish or need to disable this lock screen for your Windows 10 or 8 Personal Computer, then follow the below simplified steps to achieve that on your PC. 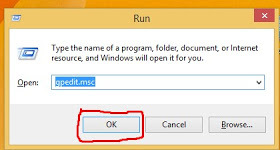 ==>Just click down the Windows button found on your PC's Keyboard, followed by R key. below, followed by another sub-folder with name Control Panel. ==>Finally, Reboot your Personal computer, and you will see that the windows lock screen no longer show but now, disabled for good. That's all for that. Now, tell us if it worked for you or not using the below comment box. Don't forget to share to friends to benefit as well. Thank you.